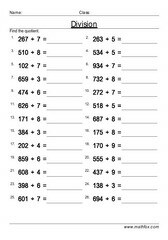 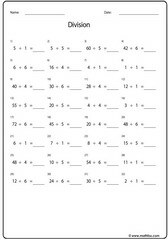 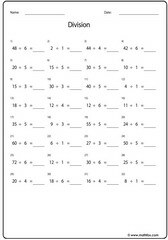 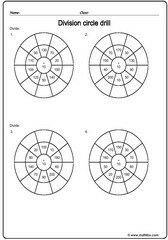 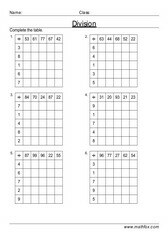 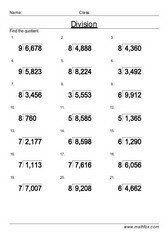 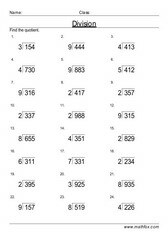 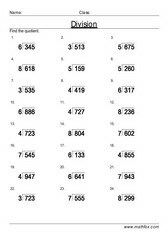 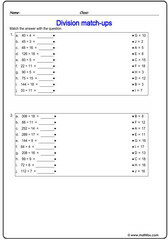 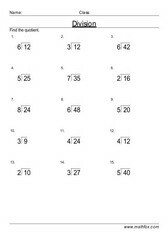 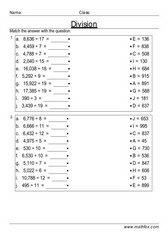 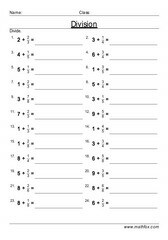 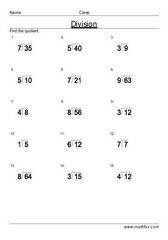 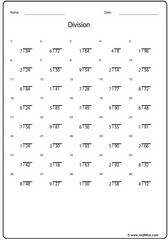 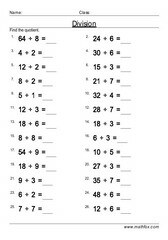 Division worksheets for children, Division practice worksheets, PDF printable division worksheets, division exercises for kids - PDF, division math topics, 2nd grade, 3rd grade, 4th grade, 5th grade, 6th grade and 7th grade. 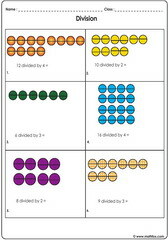 Math worksheets on division. 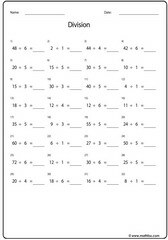 Suitable PDF printable division worksheets for children in the following grades : 2nd grade, 3rd grade, 4th grade, 5th grade, 6th grade and 7th grade. 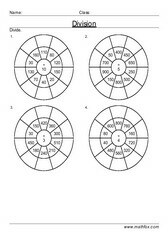 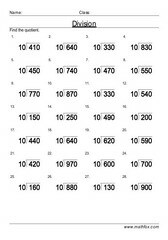 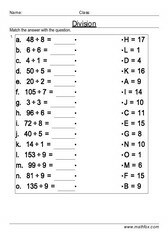 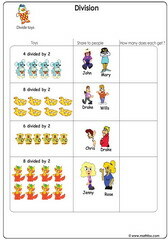 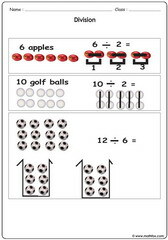 Worksheets cover the following division topics: introduction to division, division with pictures, division of fruits, division of single digits, division of multiples of ten, division with remainder, division without remainders, division word problems, division quick facts, division table and circles drills, long division etc.